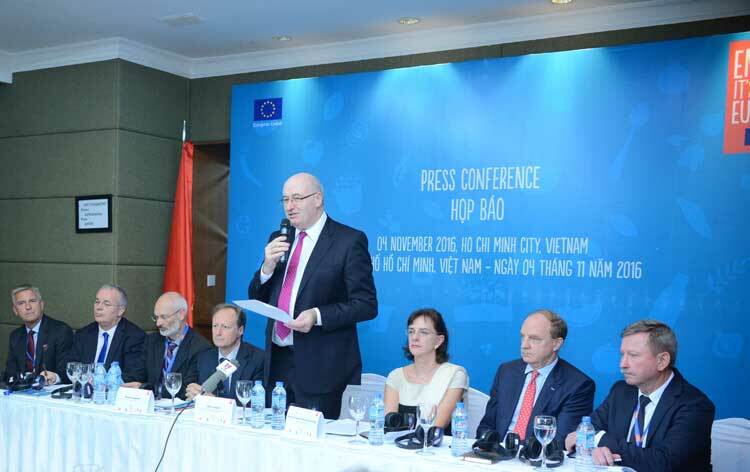 (VEN) - EU Commissioner for Agriculture and Rural Development, Mr Phil Hogan, is in Vietnam from November 2-4, leading a high-level mission of agri - food businesses from the European Union. During his stay in Vietnam, Commissioner Hogan had a meeting with senior Vietnamese officials, including Prime Minister Nguyen Xuan Phuc, and spoke at the opening sessions of a seminar on the EU-Vietnam Free Trade Agreement on 3 November in Hanoi and a business forum on 4 November in Ho Chi Minh City. 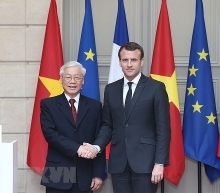 Commissioner Hogan said, "The recently concluded EU-Vietnam Free Trade Agreement (FTA) offers tremendous opportunities for both Vietnamese and European producers to find growing markets for our high quality produce. People trust our products, and value their quality. That is why our global exports are increasing year by year. Agri-food exports reached €129 billion in 2015, making us the No. 1 agri-food exporter worldwide.Our trade performance continues to be a real good news story for the EU agri-food sector." "We are very confident that the Vietnamese consumer will be impressed by the quality and persity of our products. The EU has the highest quality standards in the world for food, including our high-quality meat and dairy, our excellent fruit and vegetables, and also our world-class system for geographical indication products. 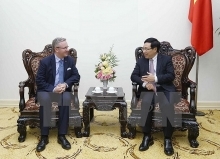 We believe these products can boost your sales right here in Vietnam, generating further growth and jobs for your people", Commissioner Hogan added. It is also fabulous to see that not only Vietnamese people are increasingly interested in the European agri-food products, but also a growing number of European consumers are keen to discover Vietnam's exotic offer in the agri-food sector. The impressive growth of Vietnamese products' in the EU single market in recent years, shown by the nearly 20 billion euros of trade surplus that Vietnam had in 2015 (much of which was in the agri-food area), best demonstrates Vietnam's enormous potential. Such potential will be fully optimised with the enforcement of the bilateral FTA and complete tariff dismantling starting in early 2018.